Welcome to Ware Academy of Music. 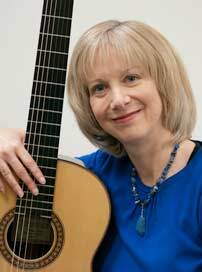 I’m Lynn Ware, owner and Certified RCMusic teacher of theory and classical guitar. Peter and I have been preparing students for RCMusic theory and instrumental examinations for over 30 years. Peter received his M.M. degree in composition from Yale University, under Toru Takemitsu and Kryztof Penderecki. I completed my M.M. degree in guitar performance at Kent State University. We are both RCMusic National Gold Medal Teachers. 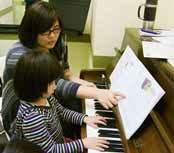 Our RCMusic teachers hold DMA and MM performance degrees in their area of specialization. Ware Academy Theory Classes for RCMusic Exams have nurtured four RCMusic National Theory Gold Medal Winners, representing the achievement of the highest theory grades in Canada. Our teachers, parents and students form a tight community, bonding to develop personal talents. One-on-one, private lessons are available in Theory, Piano, Guitar, Violin, Viola, Flute, Piccolo, Saxophone, Clarinet, Cello, Speech Arts, and Singing. Call during the day or stop by during business hours. Hope to see you soon! What classes do I need for my Performance Certificate? Acoma History and Theory Textbooks by authors Lynn and Peter Ware provide adequate practice, clear, concise presentations and a step-by-step approach. Our series textbooks for Acoma Company enable high grades on RCMusic Examinations. With Four RCMusic National Gold Medals Winners in Music Theory, Ware's students achieved the highest-grade averages in Canada for all theory requirements for their ARCT. For students merely interested in passing, our unified methods and textbooks make it as easy as possible generating a low failure rate. Parents need to recognize that Harmony and History classes are 3-hour, university level exams. Study and homework practice are required! Textbooks offer an easy review before the exam with no handouts to lose. See student Videos on YouTube! University of Montreal, Victoria University, Virginia Commonwealth University, University of Western, University of British Columbia. Leave questions and "LIKE" us on FACEBOOK! Ware Academy of Music's YouTube Channel! Ware Academy arranges free student concerts 3 times per year coinciding with the RCMusic examinations presented across the street at the beautiful Milliken Wesleyan Methodist Church. 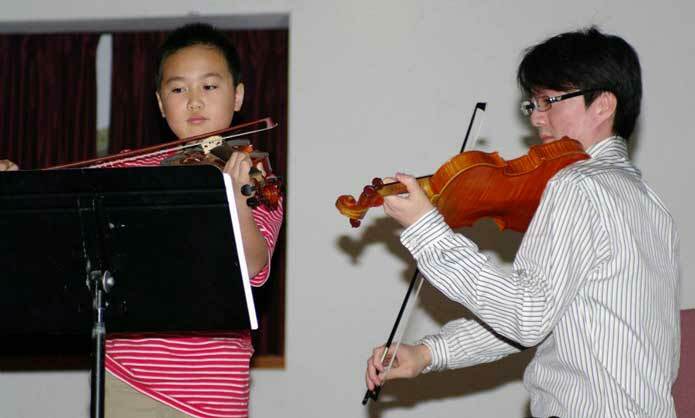 Small mini-concerts are arranged at the school by teachers. Whether your goal is to avoid humiliation in the school band, become a violin virtuoso or pass a theory exam, we offer private music lessons and classes, to turn your musical dream, into reality. Hope to meet you in class or at a concert soon! While music lessons teach goal setting and discipline, they build self-esteem through personal accomplishment. Music itself allows entry to into self-expression and oneness, but only with serious, dedicated effort and parental support. RCMusic Gold Medal in Flute Level 9.